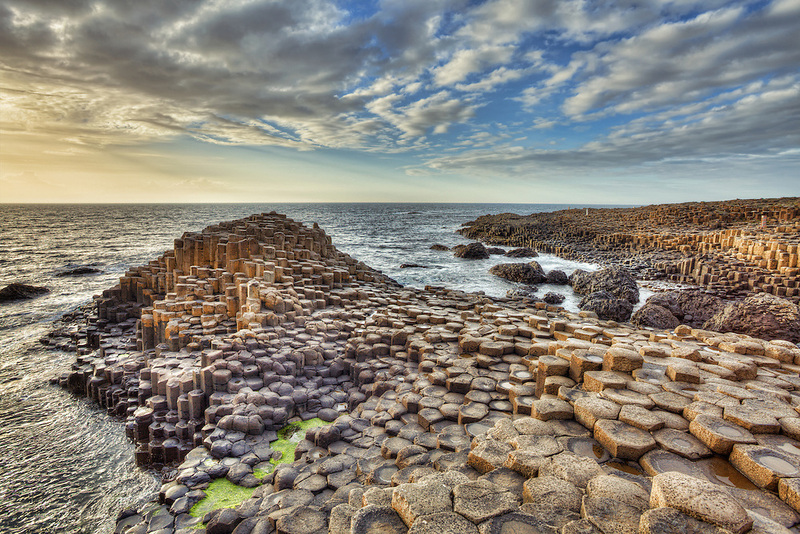 The Giant's Causeway is an area of about 40,000 interlocking basalt columns, a volcanic rock formation that is the result of an ancient volcanic eruption. It is located in County Antrim on the northeast coast of Northern Ireland and it was declared a World Heritage Site by UNESCO in 1986. Most of the columns are hexagonal, although there are also some with four, five, seven or eight sides.